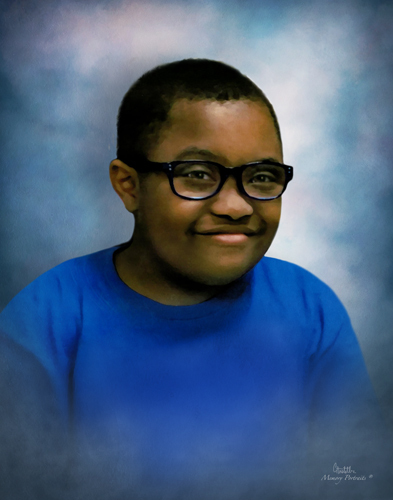 Darrell DeWayne Lawhorn Jr. (DJ), age 10, died Friday, June 29, 2018 of seizures. He was born June 8, 2008 in Hartford, CT. He is the son of Darrell DeWayne Lawhorn Sr. and Toni Renee Lawhorn (Coble) of Manchester, CT and younger brother to Loriana Lawhorn. DJ attended Martin Elementary School in Manchester, where he participated in unified sports and Manchester Early learning center’s before and after school program. DJ enjoyed dancing to music (Michael Jackson), playing with bubbles, his nerf guns, eating delicious food and also playing with his sister, cousins and schoolmates. DJ is survived by his parents, sister, his maternal grandparents Lauren Benefield (Manchester) and Brian Coble (Texas); his paternal grandparents Neda Teresa Lawhorn (Jones) (Hartford) and Kenneth Lawhorn (Windsor); his aunt Briana Coble and cousins Malaiya Murphy and Eli Earlington; great grandparents and several aunts, uncles, cousins and many, many friends, teachers, administrators and the whole Manchester Community. In lieu of flowers, the family asks that you consider donations to the family and/or participate in the Annual Buddy Walk, Stepping Up for Down Syndrome organized by The Down Syndrome Association of CT. The event will be held Saturday, September 8, 2018 in New Britain, CT. For more information register at https://www.ds-stride.org, under Team Lawhorn. The Lawhorn Family would like to thank the Manchester Funeral Home, East Cemetery, Imperfect by pop, The Down Syndrome Association of CT, The district of Manchester Public Schools, Shannon Rodowicz, the MAPP program, Manchester Early Learning Center Staff, The whole Manchester community and all our family and friends. Thank you from the bottom of our hearts! !